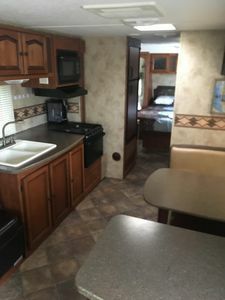 2 bedroom and 2.5 bath. 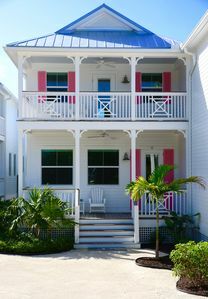 Awesome family get-a-away in beautiful Islamorada. The ocean views from the back decks are amazing. The Oceanfront pool is serene! 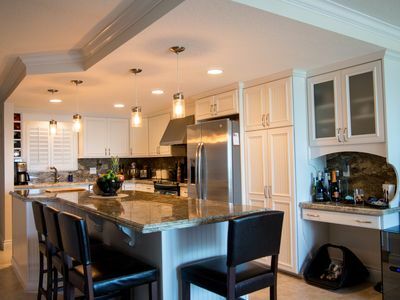 The gated community is a family friendly immaculately kept flora fauna park-like setting. Perfect for evening strolls or a bicycle ride. 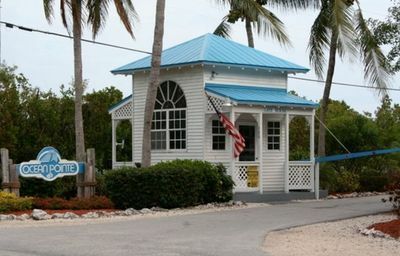 Located in walking distance to swim with the dolphins at Theater of the Sea and a few local flare restaurants and bars, Anglers Reef is the perfect family get away for boaters, kayaker's, paddlers, foodies, historians, honeymooners, couples, snowbirds or anyone that wants to experience the Florida Keys. 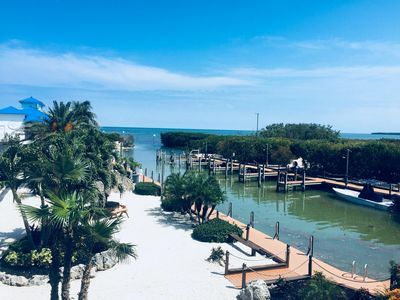 There is no other neighborhood like Anglers Reef in Islamorada. 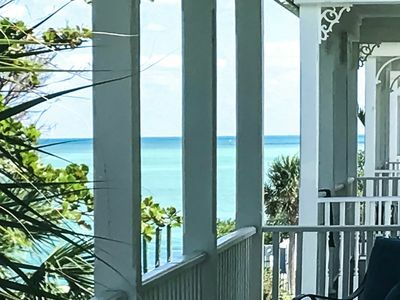 It's beautiful Key West style pastel colored homes inside resort community, with garden like flora and fauna such as bougainvillea meticulously maintained, with a fantastic oceanfront swimming pool and boat docks and views over the Atlantic Ocean that will take your breath away. Just minutes from many local shops, bars and restaurants. 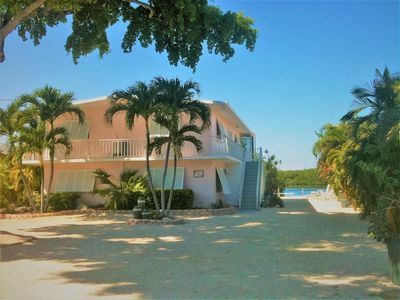 Access to the ocean does not get any easier than at Anglers Reef. 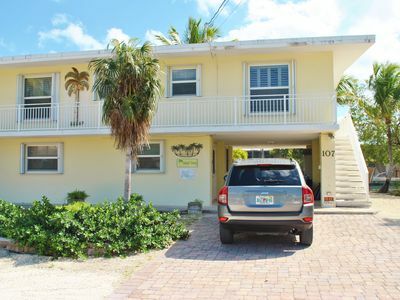 When we first found Anglers Reef on vacation six years ago we were sold and never went anywhere else. 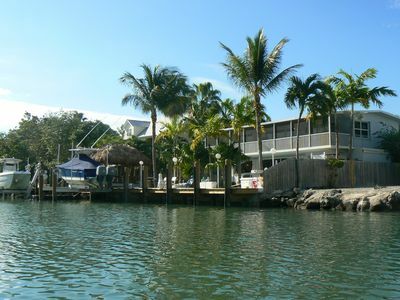 There Are 52 Homes at Angler's Reef With Only 36 Boat Slips. 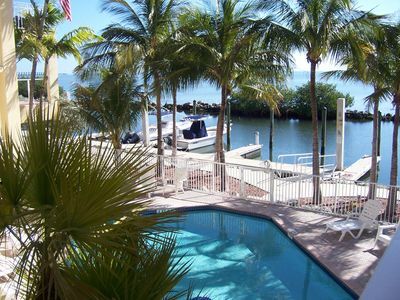 Our home has the option for you to bring your own boat and use the dock (additional cost) . 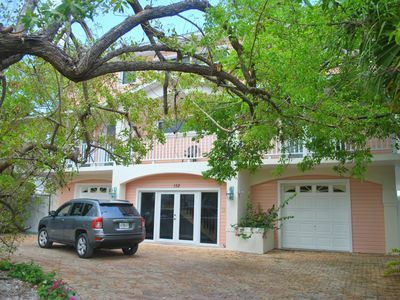 It is a Safe, Gated Community with very little traffic, truly an oasis. 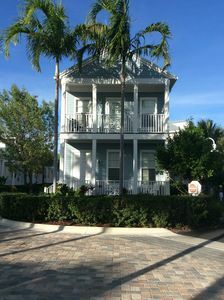 Enjoy coffee or cocktail on one of four porches, (each bedroom upstairs has its own balcony and bathroom). 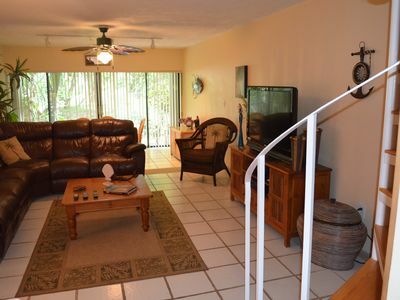 Dolphin house first floor offers a spacious, wide open layout with an over-sized sectional couch with sleeper. Granite counter tops, all updated appliances, this open kitchen is stocked with pots and pans, utensils plates, a Keurig Coffee Pot! & everything you will need to prepare anything. 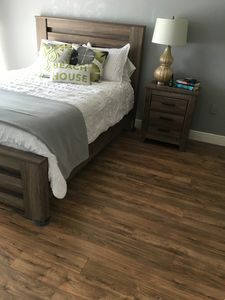 Stay entertained during your downtime by watching your programming of choice on any of the home’s 3 flat screen TVs with cable and a Netflix Subscription, or surf the web via the complimentary wireless internet access. We also offer two bikes and two Paddle Boards and a Kayak that you are available for you to ride. Children of all ages will love the pool and the fact that there is no road traffic, and the geckos will keep young kids entertained for hours! 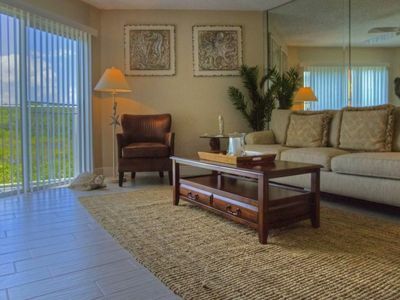 Throughout your visit, you and your companions will get to enjoy outstanding recreational facilities at Angler’s Reef. 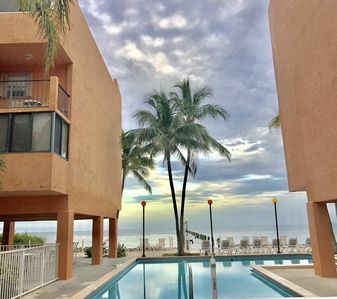 These community amenities include a heated swimming pool with outdoor bathrooms, chaise lounge chairs and tables overlooking the breathtaking blue waters of the Atlantic Ocean, and boat slips available for rent. 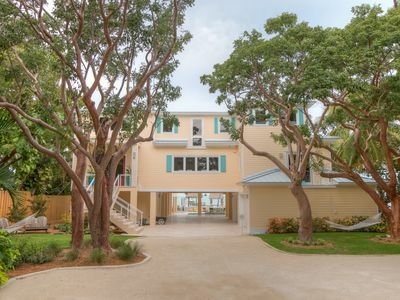 Look forward to soaking up the sun at either of the 2 private beaches, located just a few short steps away from every home that flank the marina. 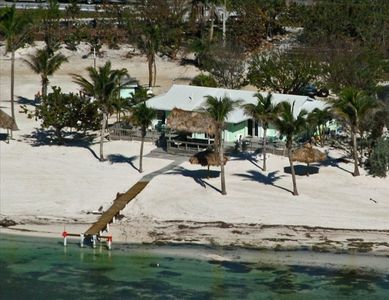 Also the world famous Islamorada "sandbar" and Alligator Reef are a short boat ride from the opening of the channel. 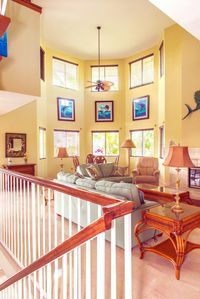 We have two other homes available in Anglers so we can accommodate families or larger parties. A dock is available also for an additional cost. 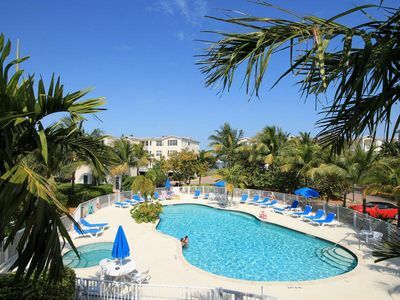 STUNNING CONDO with BALCONY/POOL in Oceanfront Building in beautiful Islamorada! 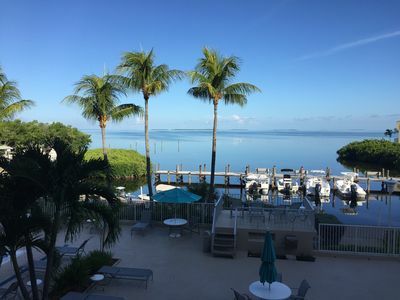 PARADISE WELCOMES YOU IN ISLAMORADA, FLORIDA!